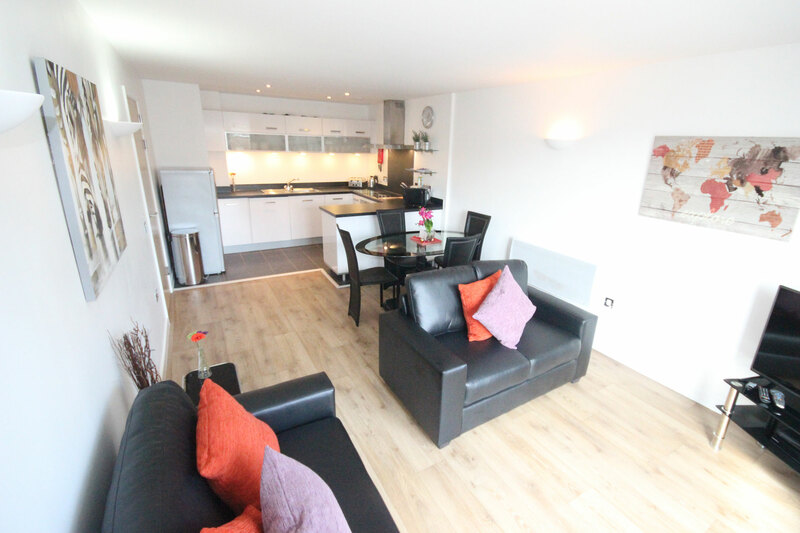 These serviced apartments in Northampton offer centrally located accommodation close to the town centre, shopping, eating out, the main bus and railway stations. 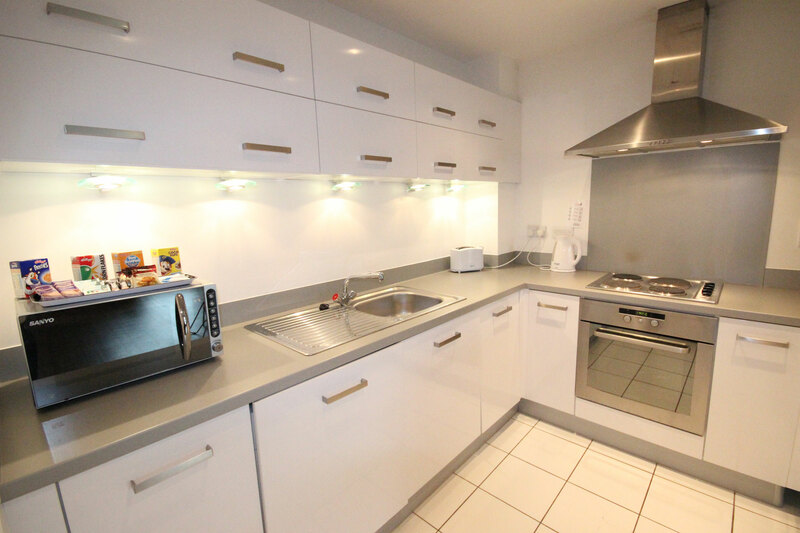 You will enjoy an open plan, fully equipped kitchen area which has modern appliances complimented by stylish cabinets. The apartments are light and spacious offering guests a great Hotel alternative. The apartments are within easy travelling distance to many industrial estates including Brackmills, Moulton Park and Rushmills, together with the Royal & Derngate Theatres and the Northampton Magistrates Court. Ideal for single or group travellers, colleagues sharing – great for keeping costs down and small families. Theatre staff receive an instant discount! Call us to discuss your requirements. 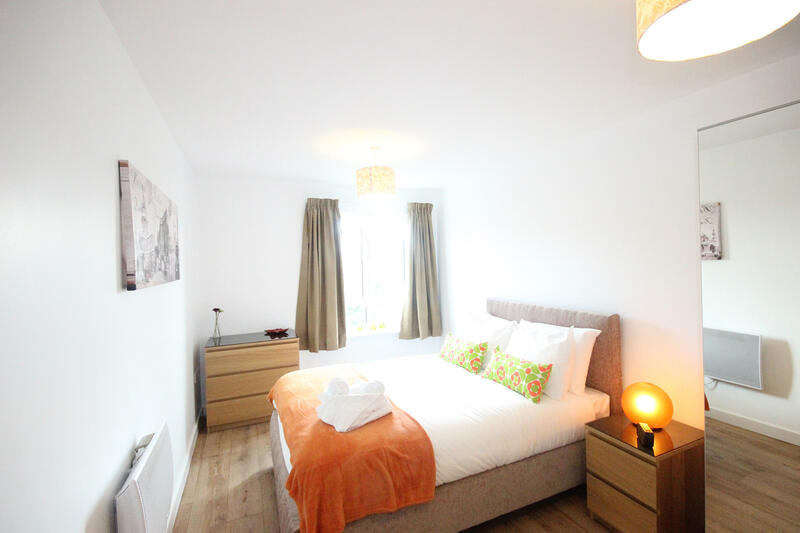 These two bedroom, two bathroom serviced apartments Northampton offer a fantastic Hotel alternative, conveniently located close to the Town Centre offering a choice of restaurants, supermarkets and entertainment venues, together with the main rail & bus stations for easy access to other Cities. Furnishings are stylish and modern throughout and a spacious open plan, kitchen, living/dining area. 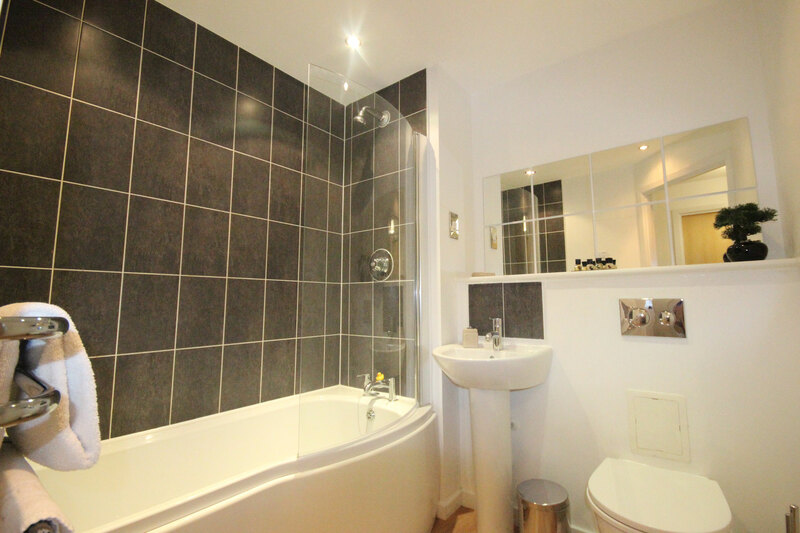 The master bedroom has the added benefit of an en-suite bathroom. There is a further second bedroom and separate bathroom. 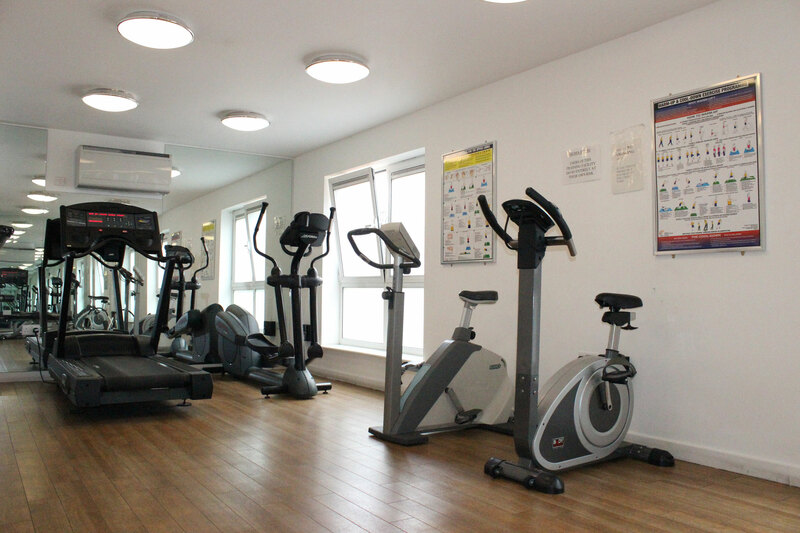 This development also benefits from complimentary residents’ only gymnasium (fitness room), landscaped internal courtyard and on-site concierge desk. Why not give a serviced apartment a try instead of a Hotel? A great alternative with more space, freedom & flexibility.